Welcome to Fterota Logia, a tiny, YA-filled corner of the internet. A few months ago, post-graduation blues started to sneak up on me; no more classrooms, no more discussions on literature, no more being surrounded by colleagues who love books as much as I do. It was a scary thought and I knew that I had to remedy it. After some much-appreciated motivation from good friends and professors, Fterota Logia began to emerge. For years, my love of young adult literature felt like a shameful secret. How could I pursue my goals of higher education when the only type of literature I really wanted to talk about wasn’t “serious”? Who would consider me for acceptance into a real, intellectually-oriented Master’s program when my answer to “what’s your favorite book?” has been, and will always be, “do you mean, besides the Harry Potter series?” I was sure that YA would forever live in the cupboard under the stairs (okay – I’ll stop) of my mind, and another, more respectable literary field would have to become my specialty. When it came time to find a topic for my Master’s Final Project, I jokingly asked my advisor if Harry Potter fanfiction was an acceptable choice. I was surprised and astounded when she said yes! This changed the course of my literary studies and my understanding of the importance of young adult literature tremendously. With the encouragement of my peers and mentors, I finally made YA literature my main concentration and threw myself into its study. I wasn’t worried about upsetting the ‘status quo’ anymore in the academic world, and I began to connect with others who valued young adult literature just as much as, if not more than, other fields of study. My final year in school was a whirlwind of literary theory and critical conversations applied, not only to YA literature, but to fandom, gender and pop culture studies. I had finally found the academic community in which I belonged. My MA Final Project, “Diffindo! Splitting the Seams Open on Gender Roles in Harry Potter Fanfiction” is still my favorite thing that I have ever written. Maybe it’ll make an appearance on Fterota Logia someday soon! My hope for this journal is that it will become an online resource for fans, readers, authors and scholars of young adult literature. I hope that we can create a compendium of exciting new voices in fiction, while also having frank and open conversations about YA and its importance in the literary world. 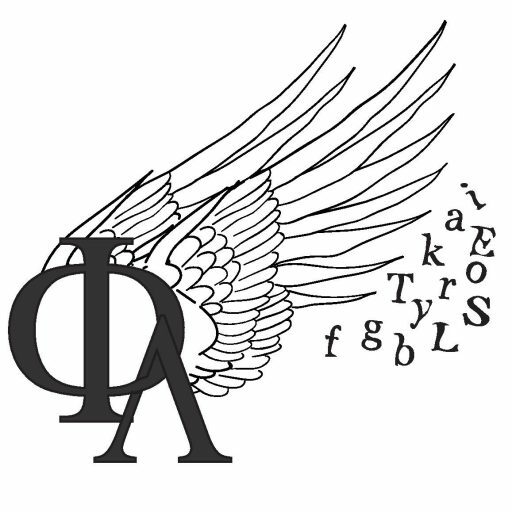 In the future, Fterota Logia will expand to include a publishing press so that we can continue to encourage the study, and love of, young adult literature among old and new readers.